I know “best” is one of those terms that’s often casually tossed around, but I have finally found a pair of boots that are more comfortable than nearly every other sneaker I’ve tried. And let’s be honest, they’re a lot more attractive! My physical therapist had long recommended that if I could find comfortable lace-up boots, it would be better for my weak ankles than sneakers. Laces allow a customized fit and therefore additional stability. Wanting to find a pair of non-athletic shoes I could wear, I spent the last year scouring forums and reading hundreds of Zappos reviews trying to find one that could work. I bought a pair of Timberlands that people swore they could hike all day in, but I couldn’t even make it down the block before I hobbled home. Cute ankle booties were out of the question, as most of them were too wide for me in the ankle and the buckle straps are usually more decorative than useful. I finally landed on this pair by Rockport, which not only has adjustable laces but a slight platform and heel that gives it a cushioned feel. Best of all, it has a classic look despite the brand’s comfort shoe aesthetic. The almond leather color goes surprisingly well with everything from skinny jeans to shift dresses, and I am beyond thrilled I can have an easier time putting cute outfits together again. I only wish they would come out with a black leather version without the contrast stitching. With my orthotics, these are nearly as comfortable as the Vongo sneakers I previously posted about. I’ve worn these boots out for an entire day with only minimal pain. 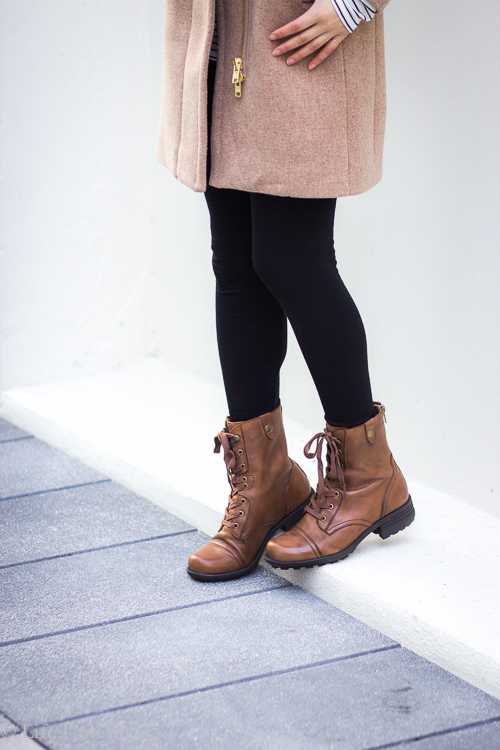 If you’re in the market for some comfortable boots, I highly suggest giving these a try. They do run a touch wide in the toe box compared to the average shoe, but I think that’s also what makes them so comfortable for me. Do you have any shoes that you swear are more comfortable than sneakers? So glad you found your soulmates! Yay. So glad you found some comfy boots. They’re really cute. I’ve found a wide toe box helps with my foot pain too. There aren’t any perfect shoes for me at the moment, but I like Lems shoes. They have a wider toe box. I have their boulder boots. They’re like your boots but not as fancy, more northwest, maybe Portland, OR kinda style. I also like otz shoes. They’re pretty cute European looking and wider toe. Altra shoes are my go to sneaker now too. The Otz shoes look kind of cute, especially in various colors! Do they have arch support? 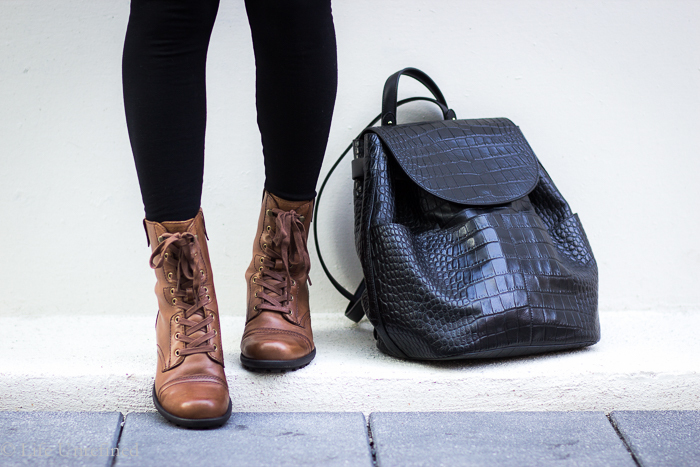 Super cute boots and outfit! What a great discovery! I love how you can help those with chronic pain not be excluded from the fun and beauty of dressing up. Thanks! Now I feel motivated to keep looking for other shoe possibilities. I really love your coat! Hope you are having a great day! 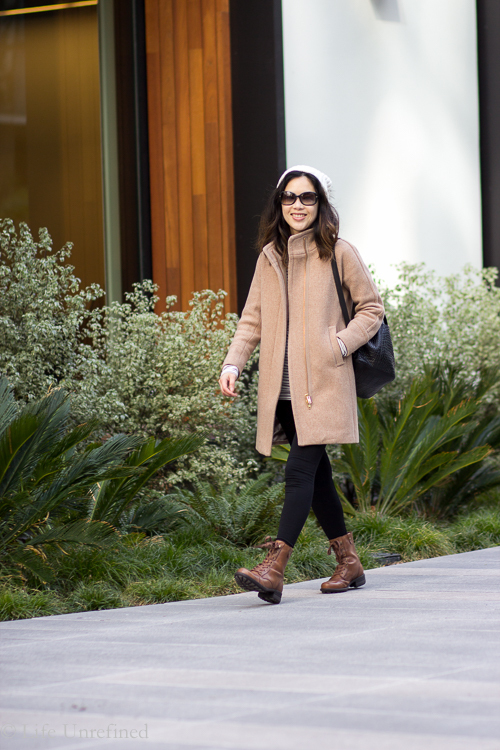 Glad you found some cute boots that help you enjoy the day! They look great with the leggings!